B: First up, what's a book, I should know how to say that in Chinese, but I've forgotten. Help me out Yaj. B: shu1. that's easy. And what about a bookstore? B: I see… shu1 dian4. Then where's a good bookstore? Y: I know there are some good ones in downtown Beijing. If you want to ask it in Chinese, you may say 哪儿有好的书店? B: na2er you3 hao3 de shu1 dian4. 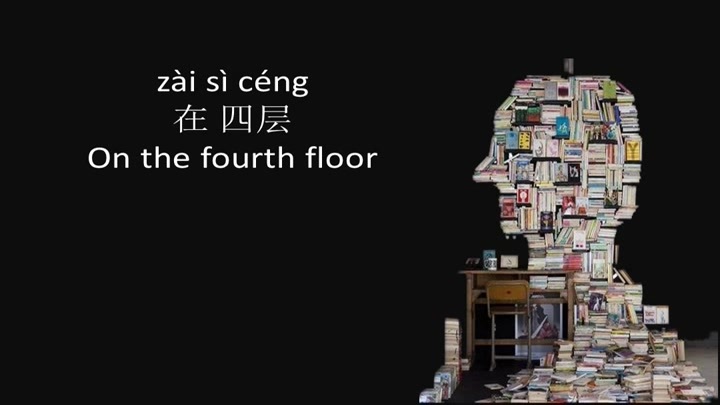 Y: 哪儿有好的书店?na2er you3 hao3 de shu1 dian4. B: na2er you3 hao3 de shu1 dian4. Where is a good bookstore? B: Hey while I'm here Y, I might have a look at the novels too. B: 小说 xiao3 shuo1. And I bet in the big bookstores, the English language novels are probably upstairs somewhere. How do I ask them where are the English language novels? Y: you may ask: 英文小说在几层? B: ying1 wen2 xiao3 shuo1 zai4 ji3 ceng2? Y: 英文小说在几层? ying1 wen2 xiao3 shuo1 zai4 ji3 ceng2? B: ying1 wen2 xiao3 shuo1 zai4 ji3 ceng2? Where are the English language novels? Let's say they're on the fourth floor, what will the shop assistant tell me? B: Let me try that, zai4 si4 ceng2. B: zai4 si4 ceng2 on the fourth floor. B: I’ve found a swag of good novels, but I better get back to looking for some Chinese learning material. I like listening to things, what you call language tapes, as they're very useful for learning. B: ci2 dai4. Great, but sometimes types are not so convenient. Let's also look for some CDs, ok? Y: Xing, we call those CD too in Chinese. B: Great… Now it’s much easier to listen to CDs through my mp3 player when I'm out walking or riding my zixingche, my bike.